The Cayin A-50T immediately attracts listeners with its rare, natural, and fluid sound. These qualities, paired with immaculate processing, make the new Cayin amplifier without competition in its price range. The A-50T contains four EL34s and produces Class AB1 amplification. This unit’s superb craftsmanship features point-to-point wiring, top-of-the-line EI audio transformers, and a specially developed toroidal core net transformer. 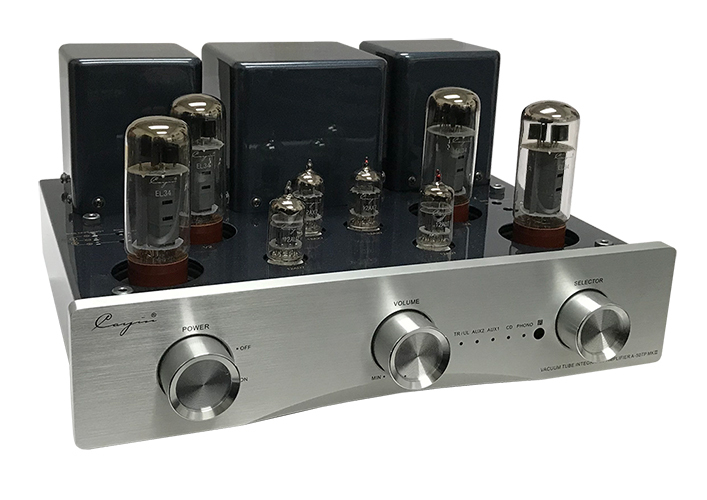 Two 12AX7EHs and two 12AU7s are used in the preamplifier. The signal processing is exclusively made through tubes, with a simple switch to fine tune output taps for 4 or 8 ohms. A removable cage snaps in and out of position to either protect the tubes or showcase high-quality components. 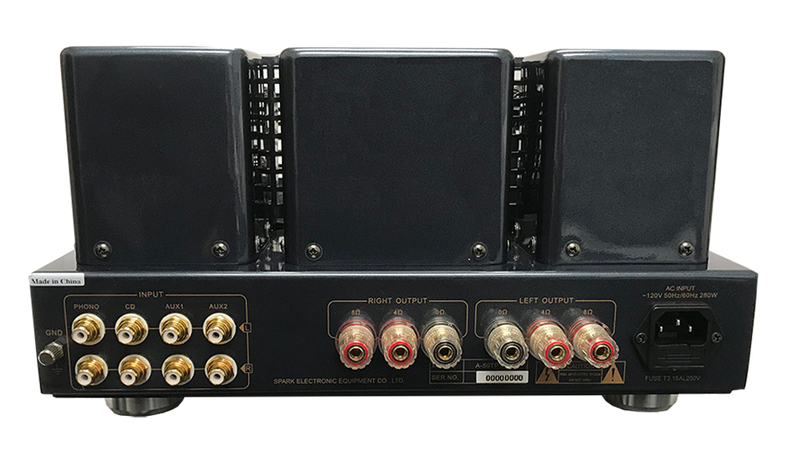 A remote control for all functions, including triode and ultralinear circuit options, perfects the carefully laced accessories package. • Soft Start Technology, Extends Tube Life! • Adjust volume, select input and choose output mode (Ultralinear = 35watt per channel or Triode=16watt per channel) from your seat.